The inaugural list of Black History first was impressive. From left they were Akin Akinyemi, Walt McNeil, Doris Maloy, Anita Favors Thompson, Gwen Marshall, Anita Davis, Henry Lewis, James Ford’s representative, Dorothy Johnson, and Al Lawson. The moment that some of the young people in his church gave him a Black History pop quiz, then came up with the answer before he could respond, Lee Johnson started thinking. His first thought was about the number of Black trailblazers who aren’t getting their due. He quickly moved to have Love By Jesus Family Church, where he is pastor, take the lead in honoring everyday Black achievers. 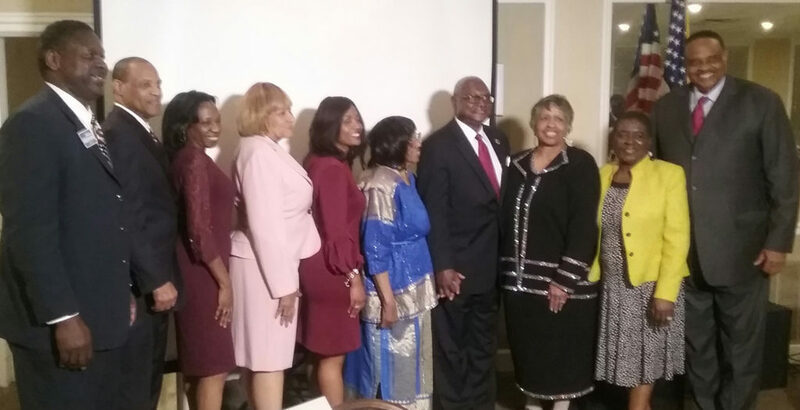 This past Thursday night Johnson and his wife, Dorothy, joined with church members to host the inaugural Tallahassee Black History First in Government recognition ceremony at Capital City Country Club. 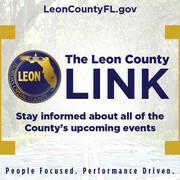 The list of honorees included 10 people who are currently serving in government or have retired from government positions in the city and county. 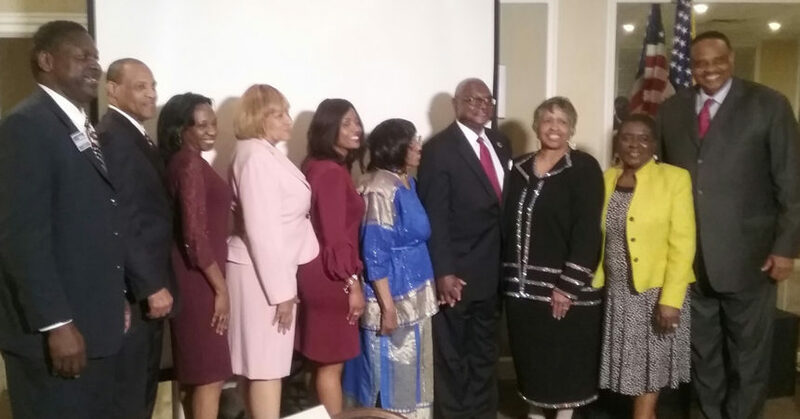 They are Al Lawson, current congressman and only Black to serve as senator and state representative; Akin Akinyemi, property appraiser; Anita Davis, former city commissioner and activist; Anita Favors Thompson, former city manager; Dorothy Inman Johnson, former city commissioner and mayor; Doris Maloy, Tax Collector; Gwen Marshall, Clerk of Court; Henry Lewis, Former County Commissioner and Educator; Walt McNeil, current Leon County Sheriff and former Tallahassee Police Chief; and James Ford, the first Black elected official in the 20th century, was honored posthumously. Fittingly, the program started with historian Mary Cathrin May giving a historical recollection of the first Blacks to be elected in Leon County during the 1800s. May’s delivery was fascinatingly informative. Indeed the journey back was long, beginning with the first civil rights movement started by former slaves who were known then as “freedman”. One by one she ran off the names of several of the men who formed the first civil rights movement and eventually led a sweep of elections that followed after the state’s constitution was rewritten to include civil rights for Blacks.